Despite the place of birth, Freida is of Portuguese descent. The actress’s parents migrated from Portugal, and they did not have jobs in the art world. The father was a senior branch manager for the Bank of Baroda, and her mother was the principal of St. John's Universal School. Freida graduated from this school. The elder sister became the producer of one of the local news television channels. The family belongs to Mangalorean Catholics, a community from Mangalore and Mumbai. Upon graduation, Freida Pinto studied at St. Xavier's College, where she received a degree in English literature. At college, the girl attended dancing courses. Freida is a professional dancer. She likes traditional dances of India and salsa very much. Her dancing skills helped Freida get a job in Full Circle, an international travel show. The show took her to countries all over Southeast Asia. The girl participated in this project for about two years, from 2006 to 2008. At the same time, she appeared on Indian television, on the covers of fashion magazines, in commercials. Her participation in various television projects soon gave a positive result. Freida Pinto was invited to audition for a role in the movie Slumdog Millionaire. She got one of the leading characters in the British film of director Danny Boyle. The drama had stunning success. Freida Pinto became famous all over the world overnight. The next film was Woody Allen’s melodrama You Will Meet a Tall Dark Stranger (2010). The same year, the actress appeared in the movie Miral. Perhaps, the most fruitful for Freida Pinto was 2011. Viewers could see the actress in four films: Rise of the Planet of the Apes, Immortals, Black Gold, and Trishna. Pinto managed to work together with such stars as Antonio Banderas and Mickey Rourke. Later, there was a break, but in 2014 Richard Raymond’s biographical drama Desert Dancer was released. Pinto played the role of a dancer. In 2015, the film Knight of Cups featuring the actress premiered at the film festivals. The movie was shot in 2012. However, the film has not had its world premiere yet. Although Pinto's filmography does not have a lot of projects, all films are top-rated. Besides, the actress brilliantly plays in movies of various genres. Before Freida became a famous actress, she had a relationship with marketing specialist Rohan Antao. When Pinto studied in college, Antao was a chemistry teacher. In 2009, her acting career was flourishing, and the star ended the relationship, and then moved to New York. 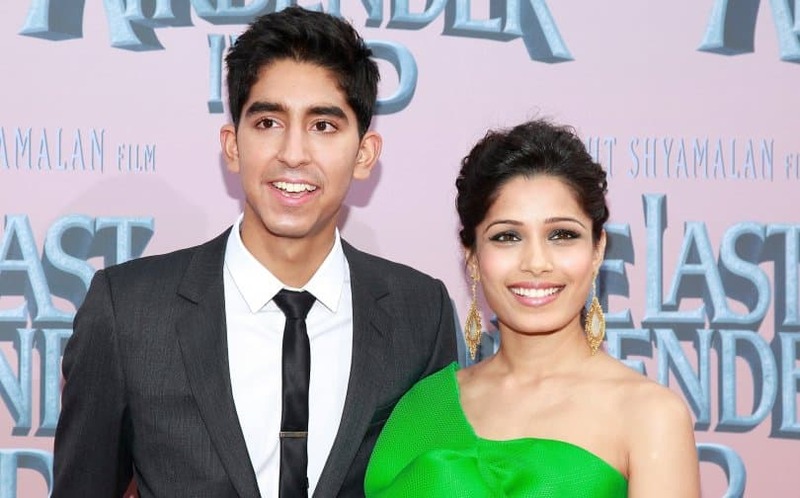 The same year, she began a love affair with Dev Patel, a co-star in the movie Slumdog Millionaire. They did not mind the age difference. Freida Pinto is six years older than Dev. The couple was considered to be one of the strongest in the modern show business, but they separated in December 2014. Nowadays, the heart of the beautiful Indian woman is free.